Eleanor Mac is the PUP that uses misleading techniques to prevent removal. Use Reimage to locate malicious components and get rid of them faster than with uninstall instructions. A full system scan blocks virus reappearance and prevents traffic to malicious domains. Is there a way to avoid Eleanor Mac virus? Mac OS users should become cautious since they may be targeted by Eleanor Mac virus. 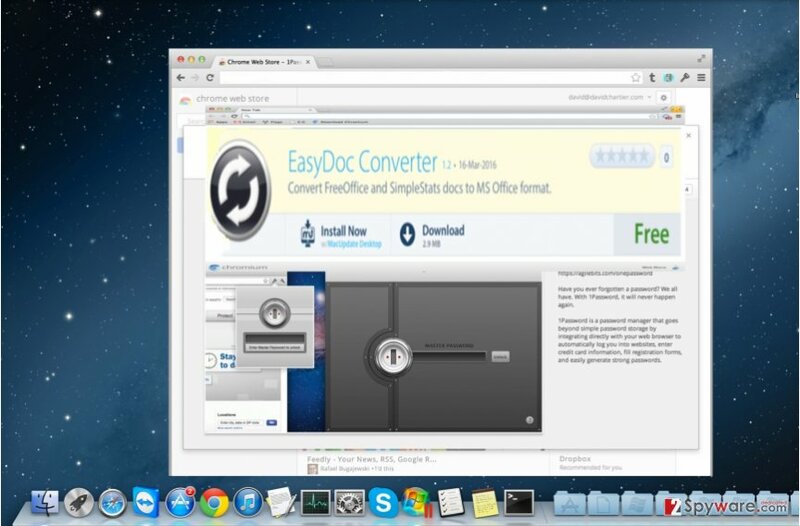 It is reported that EasyDoc Converter application is used as a disguise to spread the malware. This application was previously used for format converting purposes. However, IT specialists have revealed that once the program is installed, the virus within creates a backdoor for other viruses to infect a PC. Some even associate it with KeRanger ransomware. 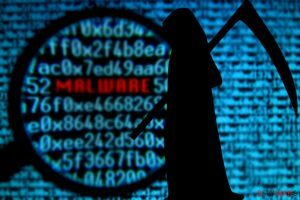 In this article, we will present the essential information about this malware and what damage it can inflict. In addition, take note of Eleanor Mac removal methods. One of the latter – elimination using Reimage. These executables may look like they belong to the file-sharing program called Dropbox. As a result, users may not have the slightest suspicion that these executables do not have any relation to the mentioned application in the first place. In fact, the launched processes make for outside third-parties easier to access the PC; it also allows remote code execution and may meddle with webcam settings. Furthermore, the virus paves the way for Tor hidden service. The latter is widely used by such destructive ransomware as Locky and Zepto threats. Thus, we encourage you to initiate Eleanor Mac removal as soon as possible. 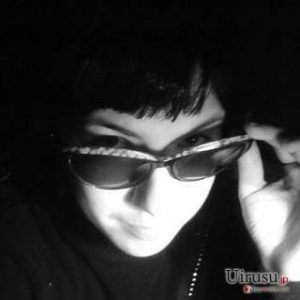 Though originally, EasyDoc converter has been published already in 2014, the first signs of the malware were detected only in April this year. The main problem of this fraudulent application is that users still can open it and unintentionally launch the virus even though the application does not have certain Apple certificate which proves its legitimacy. What is more, Apple specialists cannot get hold of the virus and terminate it. Users have reported that the current malicious version of EasyDoc Converter falls short of its promises and do not convert the files. Thus, you should not delay its elimination. Though Eleanor Mac virus can cause significant damage, its bearer, the converter, can be easily uninstalled. The best way to get rid of the malware is to run a system scan employing the services of an anti-spyware program. Since the malware is not a minor threat, complete and proper removal is of utmost importance. Thus, the security application will remove Eleanor Mac within a moment without leaving any traces behind. The program is also highly beneficial since it monitors the general security of the OS and ensures real-time protection. Luckily, you can uninstall the converter by yourself as well. You will find the instructions below. Lastly, beware of outdated software and check users’ reviews before installing a new or older application. This entry was posted on 2016-07-07 at 07:13 and is filed under Malware, Viruses. You can quickly scan the QR code with your mobile device and have Eleanor Mac virus manual removal instructions right in your pocket. How did you remove Eleanor Mac virus?